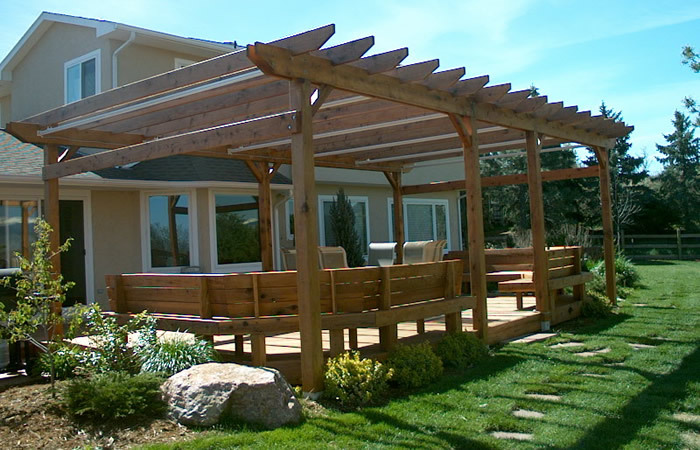 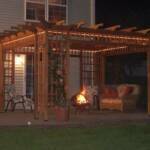 The beauty of a handcrafted Pergola is that it is open to the air while providing partial shade and privacy. 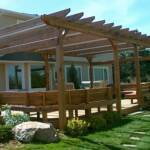 Of course, a Pergola is also is a magnificent architectural presence. 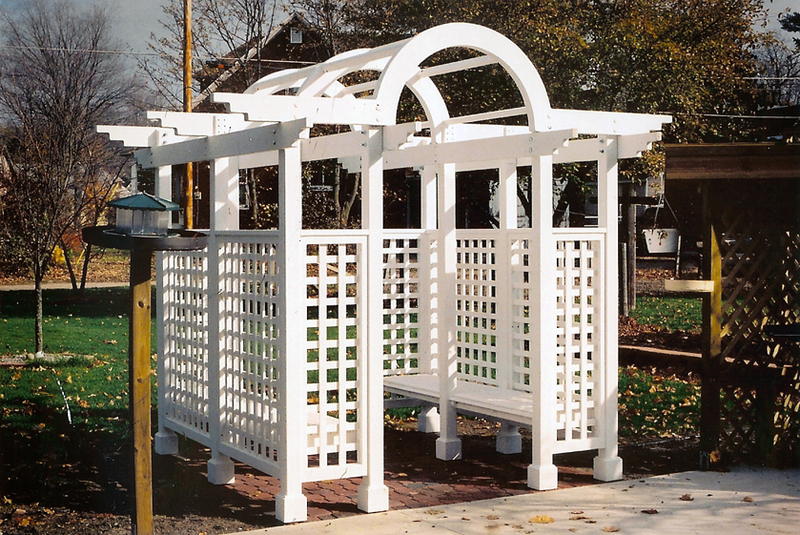 Whether you choose to define an entrance-way or outdoor room, our craftsmen will work with you to customize your Pergola exactly to your taste preferences. 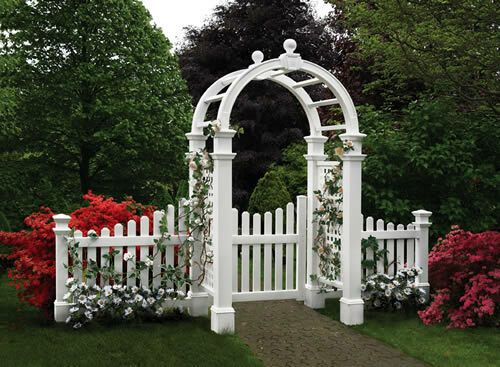 Add a unique look with an elegant garden arbor. 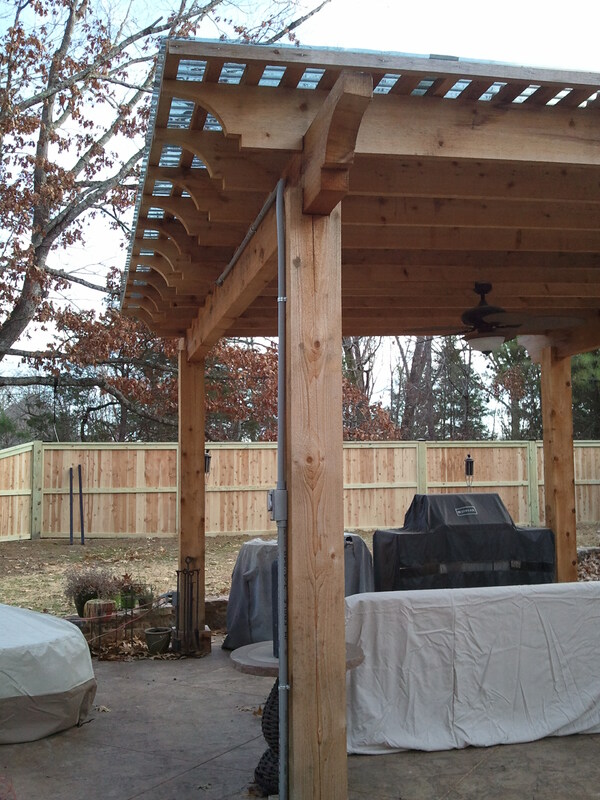 Post caps and accessories compliment and invite just enough creativity to suggest a personal touch. 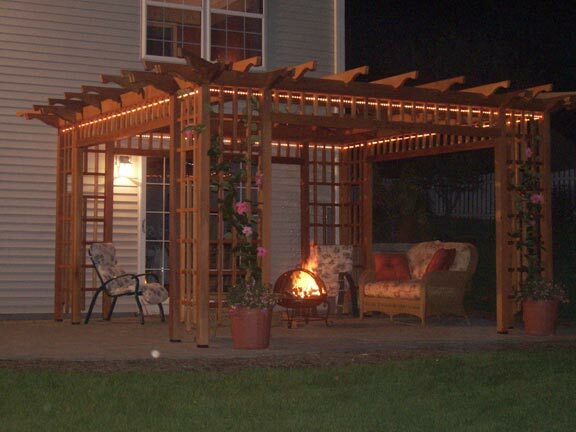 We believe that the structures your plants enjoy in the growing months should be enjoyed year round. 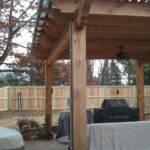 Enjoy your new surroundings. 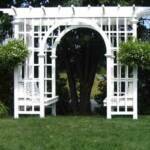 Trellises add that extra touch of elegance to your garden setting. 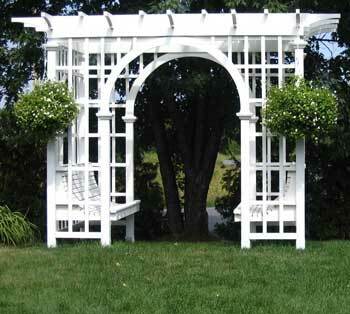 Trellises are used to add a decorative accent to exterior walls. 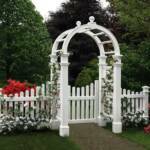 They can be functional, too, adding support to climbing flowers, grapes and swings. 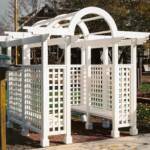 Add visual appeal and understated elegance to your home or garden with a new pergola, arbor or trellis.